Capital budgeting is made up of two words ‘capital’ and ‘budgeting.’ In this context, capital expenditure is the spending of funds for large expenditures like purchasing fixed assets and equipment, repairs to fixed assets or equipment, research and development, expansion and the like. Budgeting is setting targets for projects to ensure maximum profitability. Capital budgeting is a process of evaluating investments and huge expenses in order to obtain the best returns on investment. An organization is often faced with the challenges of selecting between two projects/investments or the buy vs replace decision. Ideally, an organization would like to invest in all profitable projects but due to the limitation on the availability of capital an organization has to choose between different projects/investments. Your mobile phone has stopped working! Now, you have two choices: Either buy a new one or get the same mobile repaired. Here, you may conclude that the costs of repairing the mobile increases the life of the phone. However, there could be a possibility that the cost to buy a new cell phone would be lesser than its repair costs. 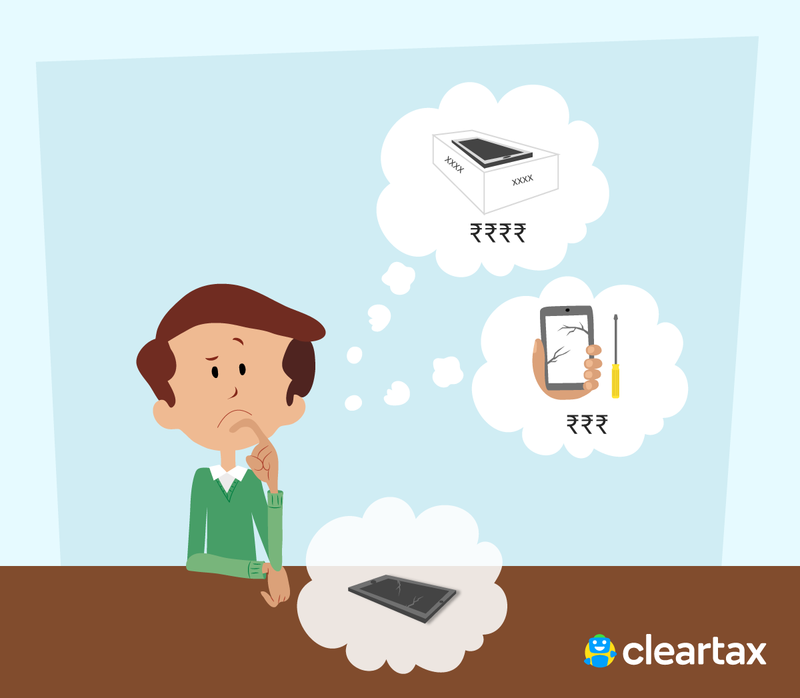 So, you decide to replace your cell phone and you proceed to look at different phones that fit your budget! An organization comes across various profitable projects frequently. But due to capital restrictions, an organization needs to select the right mix of profitable projects that will increase its shareholders’ wealth. Selecting the most profitable investment is the main objective of capital budgeting. However, controlling capital costs is also an important objective. Forecasting capital expenditure requirements and budgeting for it, and ensuring no investment opportunities are lost is the crux of budgeting. Determining the quantum of funds and the sources for procuring them is another important objective of capital budgeting. Finding the balance between the cost of borrowing and returns on investment is an important goal of Capital Budgeting. An organization needs to first identify an investment opportunity. An investment opportunity can be anything from a new business line to product expansion to purchasing a new asset. For example, a company finds two new products that they can add to their product line. Once the investment opportunities are identified and all proposals are evaluated an organization needs to decide the most profitable investment and select it. While selecting a particular project an organization may have to use the technique of capital rationing to rank the projects as per returns and select the best option available. In our example, the company here has to decide what is more profitable for them. Manufacturing or purchasing one or both of the products or scrapping the idea of acquiring both. After the project is selected an organization needs to fund this project. To fund the project it needs to identify the sources of funds and allocate it accordingly. The sources of these funds could be reserves, investments, loans or any other available channel. 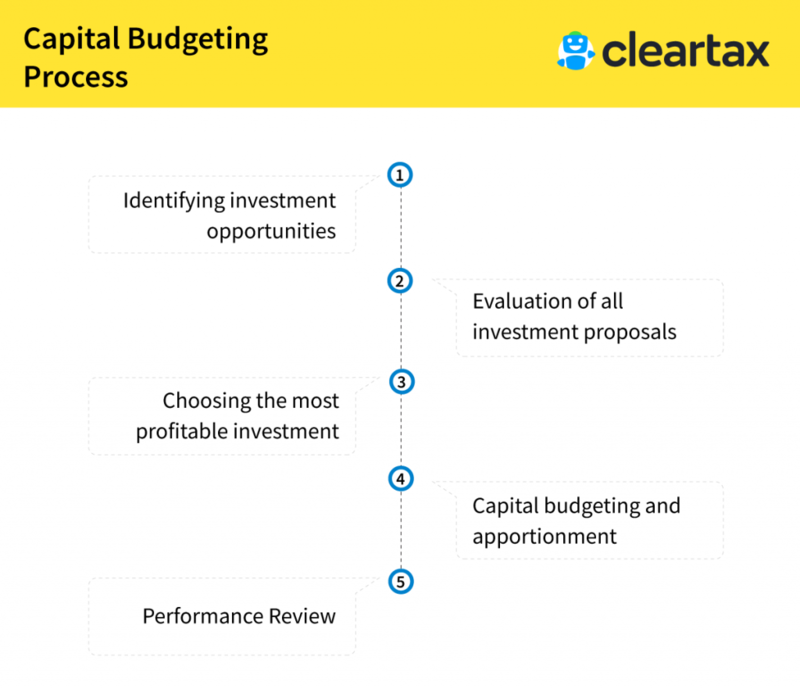 The last step in the process of capital budgeting is reviewing the investment. Initially, the organization had selected a particular investment for a predicted return. So now, they will compare the investments expected performance to the actual performance. In our example, when the screening for the most profitable investment happened, an expected return would have been worked out. Once the investment is made, the products are released in the market, the profits earned from its sales should be compared to the set expected returns. This will help in the performance review. To assist the organization in selecting the best investment there are various techniques available based on the comparison of cash inflows and outflows. 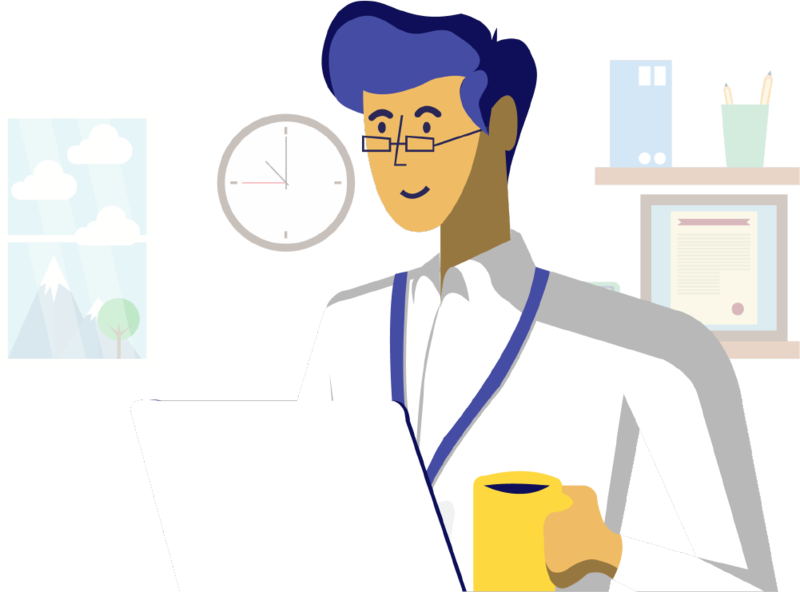 In this technique, the entity calculates the time period required to earn the initial investment of the project or investment. The project or investment with the shortest duration is opted for. The net present value is calculated by taking the difference between the present value of cash inflows and the present value of cash outflows over a period of time. The investment with a positive NPV will be considered. In case there are multiple projects, the project with a higher NPV is more likely to be selected. In this technique, the total net income of the investment is divided by the initial or average investment to derive at the most profitable investment. For NPV computation a discount rate is used. IRR is the rate at which the NPV becomes zero. The project with higher IRR is usually selected. Profitability Index is the ratio of the present value of future cash flows of the project to the initial investment required for the project. Each technique comes with inherent advantages and disadvantages. An organization needs to use the best-suited technique to assist it in budgeting. It can also select different techniques and compare the results to derive at the best profitable projects. Capital budgeting is a predominant function of management. Right decisions taken can lead the business to great heights. However, a single wrong decision can inch the business closer to shut down due to the number of funds involved and the tenure of these projects.